It seems as though disasters involving loss of human life are occurring more often lately. And search and rescue is one more area where our dogs shine. Although they may consider it some sort of game, it is a job. The reward for that job well done is a treat, lots of praise or a favorite toy. These tireless heroes are always ready when called upon to hunt for victims of disasters. Earthquakes, tornadoes, bombs, avalanches, building collapses, hurricanes – rescue teams are called upon to search for trapped victims, dead or alive. Dogs, with their incredible sense of smell can also reach places where humans cannot go. If a dog, no matter what breed, can be taught to concentrate on the scent, he is a candidate for search and rescue. 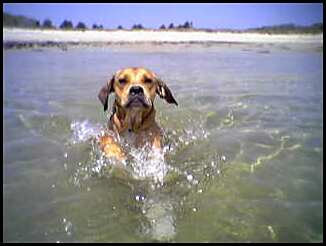 Playful dogs that enjoy fetching and respond to praise are preferred. They must be able to follow scents through all sorts of terrain, even bodies of water, and in all weather conditions. The dogs receive daily training to sharpen their skills. Dog handlers must be prepared as well. They must be physically fit, enjoy working with dogs and have the time and patience for training. They must have the necessary equipment: the dogs require harnesses, long lines and vests; handlers should have weather and terrain appropriate clothing, radios, compasses, flashlights with extra batteries, a hard hat, food, etc. and a pack to carry everything. Handlers must also be trained in first aid including cardiopulmonary resuscitation and survival skills. Persons who choose this area of work must focus on the job at hand and not allow a desire for fame enter into the field. Both dogs and handlers must bond closely and be able to take cues from one another. A dog’s sense of smell allows it to pick out a particular scent among many scents. 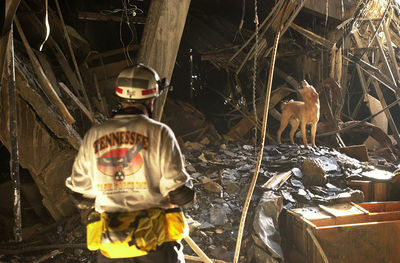 Two types of search and rescue dogs are air-scenting and trailing. 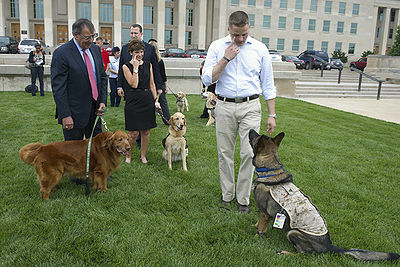 Directed by their handlers, air-scenting dogs work off leash. They sniff the air to catch the scent and are important in searches involving locating drowned victims, persons trapped in collapsed structures and when point to point tracking is not required. Trailing dogs work on lead. They can follow skin cell trails even though mixed with other scents. Bloodhounds in particular can follow scents even a few weeks old. Contamination of the area or hot weather can make trailing more difficult. 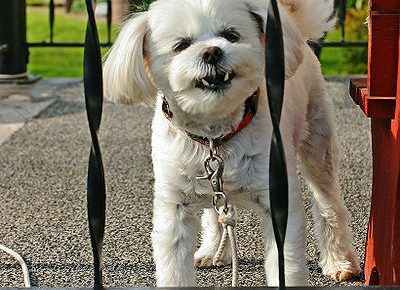 Air-scenting dogs do better with areas that have been contaminated. While they don’t seek out any special recognition, these dogs and their handlers deserve very special thank yous for the jobs they do whenever and wherever called upon.